Food Secure Canada has developed this primer to encourage Canadians to raise these food systems issues when they participate in the online Canada Food Guide consultation - open until December 8, 2016 (click here to participate). Sweden, Brazil, Qatar and Germany have integrated sustainability principles into their national dietary guidelines. With the recently announced revision of Canada’s Food Guide, we have a strategic opportunity in Canada to do the same. Since our health is intimately linked to the environment, we need to improve the sustainability of food systems and redefine healthy food as going beyond its nutritional qualities alone. As Health Minister Jane Philpott noted in her remarks in the recent announcement of the Healthy Eating Strategy - “the path to a healthy food ecosystem in Canada requires a whole-of-society response. It has to take into account sustainable agriculture, food security, the cost of food, how food is distributed, where it’s sold, how it’s prepared and so much more.” We need to consider both the consumption and production of food if we are to leverage change and take a whole-supply-chain approach in order to have a whole-of-society impact on health. Here’s an overview of how the Canada Food Guide consultation fits into the bigger picture announced by Health Canada last month in the FSC article on Making Sense of the New Healthy Eating Strategy. 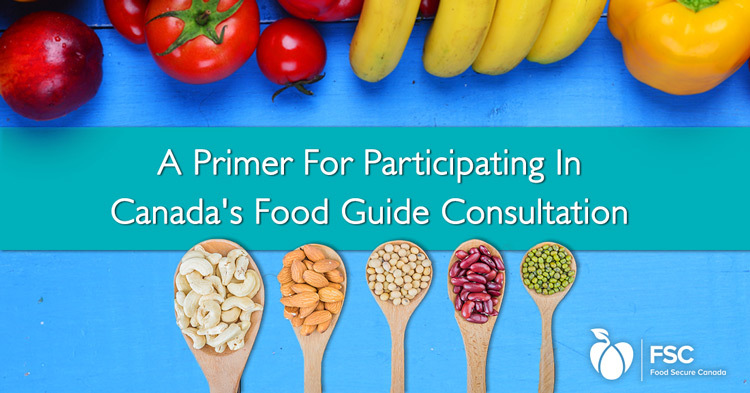 The online consultation on Canada’s Food Guide presents a series of questions for the general public, or a more expansive pathway for professionals, educators and organizational representatives. In both cases, as you answer succeeding questions your responses generate your unique journey through the questionnaire, inviting more depth about your areas of interest or expertise. Processed foods, sugar and sugary beverage consumption and the usefulness of the four food groups approach are three issues where you will likely be asked your opinion. Sprinkled throughout the consultation there are opportunities to use an "Other" response option to add issues or perspectives not included in the standard answers. Use it! This is your chance to deepen and widen the scope of the exercise. 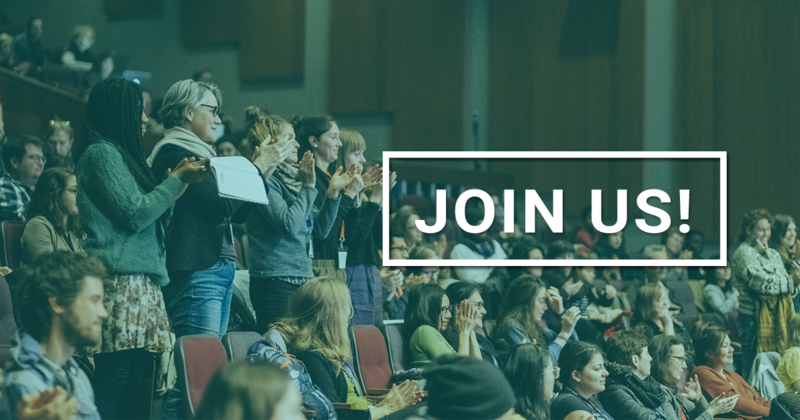 Passionate about the protein shift, local sourcing or GMO labeling? Write them in. Health Canada is committed to publishing the results of this first phase as a Summary of Comments and What we Heard Report. Learn more about their overall consultative approach, process and the calendar of work here. This webinar provides an overview of sustainable diets that can promote both human and environmental health. Panelists explored a number of questions including: What are the different dimensions of sustinability - environmental, economic social? How these can be developed into dietary guidance? What are the key elements of Brazil and Qatar's dietary guidelines? What can we learn from efforts in other countries to include sustainability principles that failed? How can nutrition experts, climate and sustainable agriculture advocates dialogue and work together on this issue? Canada's Food Guide should seek inspiration from Brazil: researcher CBC. March 5, 2016. “Our national food guide, in long need of repair, is finally getting an overhaul. It needs a lot more than a tune-up to catch up with scientific evidence on diet and health and what – and how – Canadians eat." Let us know if you participate in Canada’s Food Guide consultation! Please share with us on Facebook and Twitter if you participate in Canada’s Food Guide consultation and submit comments on the need to include sustainability!